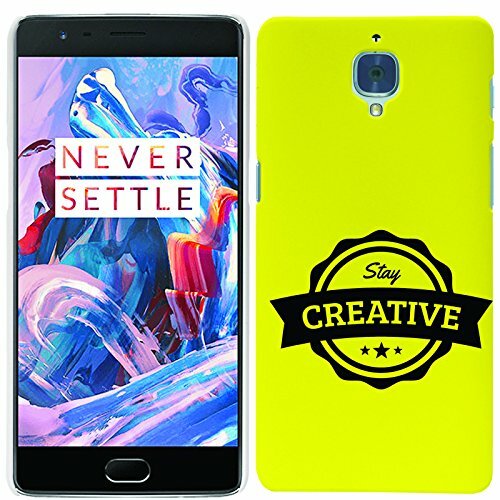 DMG Designer Case for OnePlus 3, Protective Slim Fit Printed Back Cover for OnePlus 3 (Stay Creative) + 4in1 Laser Torch Stylus Pen@1499 Rs [Mrp:-2099] - Onlinedeals.discount - A leading product discovery website. Find the true prices of products, read reviews and buy top brand products at reasonable prices. Full Protection: The printed case is designed to protect your OnePlus 3. Full four corner protection with the case protecting the edges makes sure that your phone is safe. Package includes multi-functional capacitive touchscreen Stylus and Ball Point Pen with LED Flashlight and Laser Presentation Pointer. Solid casing couples with a durable, high-grade hard back case providing comprehensive protection; Printed Pattern Cover gives great grabbing feel for your OnePlus 3. We understand your love towards the most precious device you own. And we are equally passionate to build cases for them to extend your care towards them. Every pattern is a high resolution image choosen by professionals. Wide variety of trendy patterns is available for every gender and generation. Featuring all-corner protection, sides and a raised back cover to protect the screen. The DMG print pattern hybrid case is made to protect against life’s not-so-expected moments for your device. Package includes multi-functional capacitive touchscreen Stylus and Ball Point Pen with LED Flashlight and Laser Presentation Pointer.